On Thursday, August 24th, Scottsdale Museum of Contemporary Art will be showing the new film, Manifesto. The movie stars Cate Blanchett in thirteen different roles, and is directed by acclaimed art director, Julia Rosefeldt. Tickets are $7 and available through the museum website. Click here for more information. Senior lecturer of ethnic studies at NAU, Dr. Jerry Garcia, will be holding an author’s talk titled “Prisoners Without Chains: The Forced Relocation of Japanese Mexicans 1942-1945” on Tuesday, May 16th. The free event features a small group discussion (limited to 12 RSVPs) from 5:30 PM to 6:30 PM. Afterwards, from 6:45 PM to 8:30 PM there will be a presentation and Q&A. The event will be held at Arizona Humanities, located at 1242 N Central Ave Phoenix, AZ 85004. Light refreshments will be served. For more information and to RSVP to the event click here. Explore the Japanese Mexican experience during World War II and learn how it was markedly different than the Japanese American experience in the United States. Dr. Jerry Garcia from Northern Arizona University shares how the Japanese negotiated a distinct space within Mexican culture where Japanese identity and ethnicity was maintained and rarely challenged due to a perception that the Japanese displayed markers of whiteness that were associated with western imperialism and power. Examine how the Japanese adjusted during turbulent and transformative periods in Mexican history and the over-arching policies of the U.S. regarding Japanese immigration throughout the Americas. Dr. Garcia’s new book Looking Like the Enemy: Japanese Mexicans, the Mexican State, and US Hegemony, 1897-1945 examines Japanese immigrants in Mexico and the United States during World War II. The book focuses on the experiences of the Japanese on both sides of the borders and the similarities and differences in their treatment. You can purchase the book through University of Arizona Press here and use discount code AZHUM17 for a special offer. Dr. Garcia received his doctorate from Washington State University and was the former Director of the Chicano Education Program and the College Assistance Migrant Program at Eastern Washington University. He is now the Senior Lecturer for Ethnic studies at Northern Arizona University. His research focuses on Chicano History, Latin American History, History of Mexico, Asians in the Americas, immigration, empire, masculinity, and race in the Americas. 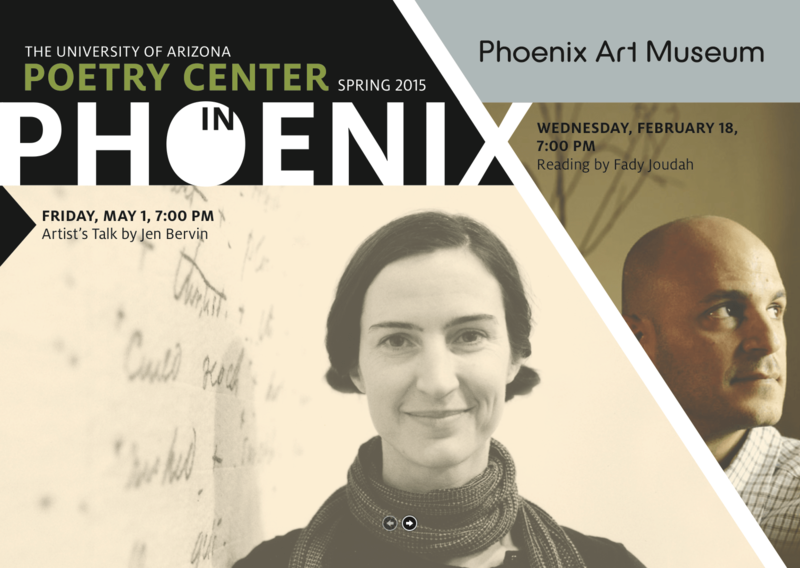 Join the U of A Poetry Center and the ASU Art Museum for a reading from acclaimed poet and translator Fady Joudah. Celebrated for his definitive translations from the Arabic, Joudah will also read from his most recent collections Alight and Textu.